Seeded Lawn Turf grown to the highest standards! Tim Jellicoe Turf is a Devon-based turf-grower offering a reputable and comprehensive turfing service in the South Devon area. 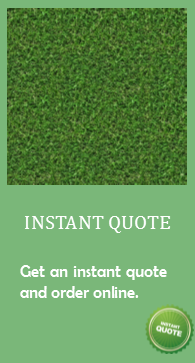 We offer two varieties of Turf; which are premium seeded lawn turf and Shade and tolerant wear turf. Our Premium Seeded Lawn Turf is grown to a very high standard. It is grown from a seed mixture that we select. It is grown to be Durable and Hard wearing as well as very nice in appearance. It is all fully treated. (Weeds and pests) Perfect for any domestic garden or area. Our shade and tolerant wear turf has a excellent appearance. The Turf is grown with POA Supina, which is the most shade tolerant grass species available, making the turf a perfect choice for small enclosed gardens or lawns with overhanging trees. Our Supina turf has an outstanding bright green colour, not to mention it is extremely hard wearing and durable. Our Supina seed is carefully sourced and blended before it's sown into a delicately prepared seedbed. Not to mention the Supina has a longer active season, therefore it will look greener earlier in the spring and later in the autumn. Meadow turf is subject to availability. If you are looking for a lawn turf on a budget, we sometimes have second grade seeded turf available. Call the office and ask for availability and prices.